Our program has been designed to assure you a thorough, easy to understand overview of the conditions of the home you are about to purchase. Buying a home is not something you do every day and we provide the information you need for peace of mind. 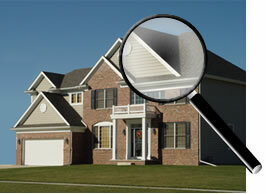 Arnold's Home Inspection Services, LLC has an extensive service area. We service the Maryland, Pennsylvania and West Virginia Tri-State area: Maryland including Washington, Frederick, Allegany, Garrett, Howard, Carroll and Montgomery counties and the cities of Hagerstown, Frederick, Middletown, Cumberland, Oakland, Ellicott City, Westminster and Rockville. The West Virginia Eastern Panhandle area including Morgan, Berkeley, and Jefferson counties and the cities of Berkeley Springs, Inwood, Harpers Ferry, Shepherdstown Martinsburg and Charles Town. The Pennsylvania counties of Franklin, Adams, Fulton, Bedford and Cumberland and the cities of Chambersburg, Greencastle, Shippensburg, Gettysburg, McConnellsburg, Bedford and Carlisle.